USA Today reports that NASA Administrator Jim Bridenstine believes the SpaceX Crew Dragon flight test scheduled for Jan. 7 will likely slip into spring. That would mean the mission, which will not have a crew aboard for its flight to the International Space Station, would launch no sooner than the first day of spring on March 20. Bridenstine’s acknowledgment that January is a “very low probability” window is the first time the agency has publicly cast doubt on the timing of the scheduled launch from Kennedy Space Center in Florida. The test flight of the SpaceX rocket and capsule is a key step in NASA’s efforts to resume U.S. transport to Earth’s orbit nearly a decade after the space shuttle was mothballed. The administrator attributed the delay to challenges with several components, including landing parachutes. Some of those systems could be tested without flying them on the initial flight. 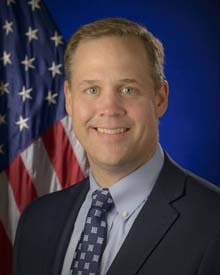 It’s a matter of determining “what configuration are we willing to accept as an agency and are we willing to waive certain items (and) how do we test those items,” Bridenstine told reporters at NASA headquarters. But he said the test flight “will certainly be in the first half of 2019,” a schedule that still would accommodate a crewed flight by the end of the year. Parabolic Arc earlier reported that not all of Dragon’s systems would be ready in time for the first flight. A flight test of Crew Dragon with astronauts aboard is currently scheduled for June 2019. NASA would then certify the vehicle to carry astronauts to the space station on a commercial basis. Boeing is scheduled to test its Starliner spacecraft with an automated test in March and a flight with crew in August. NASA could extend the crewed flight from a brief stay at the space station to a long-duration mission. Both SpaceX and Boeing are scheduled to conduct abort tests in between their automated and crewed flight tests. SpaceX will conduct an in-flight abort test; Boeing’s abort test will be conducted from a launch pad. NASA needs to have at least one of the crew systems functional by January 2020. That is when the last agency astronaut to fly aboard a Russian Soyuz vehicle on a paid basis is set to return. I get why everybody is super cautious with the first commercial crew flights, but I really don’t get all that fuss about parachutes. FFS, Dragon 1 has been landing with parachutes for 8 years now! And the ‘chutes for Dragon 2 have been tested multiple times. How can they possibly not be ready by now? well…the Dragon 1 spacecraft have had “consistent” issues with the chutes…the problem from a safety standpoint is that the “problems” with the chutes are within limits but “consistent”…and near the limits. major systems that are not being evaluated on the SpaceX uncrewed demo. far pleased with how that is going. Fly Safe is not just a phrase. I appreciate your technical insights into these issues. That said, I seriously doubt that SpaceX fans who understand these sorts of issues are “imploding now”. It’s frustrating that we’re down to the wire and seeing delays, but again, anyone who understands these things knows delays like this are part of working with NASA. NASA has become a lot more risk averse than they were in the 1960s and have processes, procedures, and piles of paperwork that contractors have to go through when anything is “crew certified”. I’m sure Dragon 2 will eventually fly with a crew. NASA has been burned too many times by having a single point of access to space. I don’t think they’ll be satisfied with only Starliner flying because that would mean depending on the Russian Soyuz as a backup. We’ve seen some very high profile issues with Russian launches over the last 5 to 10 years, so depending on them going forward wouldn’t be a good thing. Why is nobody covering this? I have never heard anything about those issues before. NSF usually has the inside running with these things but nothing that I can find. Do you have a definitive source other than rumours? They have never had any chute issues with the cargo flights, have they? NASA ASAP discussion at the 4Q meeting certainly didn’t suggest anything as serious as that. I’m not saying that the observed anomalies on the otherwise successful landings shouldn’t be taken seriously, and that if they do call for a parachute system redesign, that wouldn’t be reason for a delay in DM-1. I’m just questioning this one report which I’ve not seen corroborated anywhere. Exactly. It’s an undefined “thing”. Gerstenmaier said the safety review was to determine if the firm’s “culture” was reflective of the quality of the spacecraft they were building. He didn’t point to any specific technical issue where an objective test could be run to determine if specs were met – for either Boeing or SpaceX. How does one define or measure culture? “Culture” as a concept is 100% subjective. Absent any specifics – and you’ve supplied none – I feel free to regard this as simply more fabulism by someone who can’t even admit that SpaceX has accomplished what it has obviously accomplished anent booster recovery and reuse. Easy to cite “rumors,” especially if you’re the one floating them. (2) so that the lack of any “issues” with D2 will not become manifest as will certainly be the case once D2 actually flies. Don’t worry, it’s ok. We understand the erosion in the SRB o-rings – we’ve characterized it and it’ll be fine. And we understand the foam shedding too – we we’ve characterized it and it’ll be fine. Yeah. Famous last words. Fix the problems. yes. I have friends directly in Boeing and NASA safety office. I have a few blue suit friends who are at SpaceX dealing with a US military payload. very good sources. everything I have said about the chutes has been cautious (I changed my position on this) and has been proven out. Cite specifics – if you can – and we’ll talk. Dark hints about “consistent problems” that are nonetheless within specs are BS. Specs are how one usually judges whether or not something is actually a problem. If something is actually a problem and also within spec, then you’ve actually got two problems, one with the thing and the other with the spec. Is that what you are alleging here? Once more, specifics please. As for “massive failure,” there are plenty of videos on YouTube of parachute tests of Dragon 2, Starliner and Orion. The “massive failure” must not be numbered among them. When was this disaster supposed to have taken place? As for more subtle “problems,” can you point out any such on extant videos of said parachute tests? Any, that is that are exclusively Dragon 2’s and not just something that also shows up in Starliner and/or Orion parachute test videos? I’m all in favor of fixing actual problems. I’m not in favor of hunting snipe. The entire legacy aerospace establishment – including their numerous Congressional lackies – would like to crush SpaceX before the various legacy space divisions are rendered just so much road kill. This is so obvious by inspection as to hardly be worthy of special comment. Unable to engineer spacecraft and rockets, they instead engineer rumor campaigns and pay for op-ed hit pieces by “consultants” of easy virtue. Your statements about chutes have been anything but cautious. You have baldly, and repeatedly, asserted that there are “problems” with Dragon 2’s chutes. What you haven’t been is specific as to what these alleged “problems” actually are. I say it’s because you’re talking out your arse and there are no specifics. You can shut me up easily by ponying up. Failing that, have the good grace to hold your water. As to the economics of Super Heavy and Starship, you are correct that I see no barriers to a completely reusable system besting the per-mission costs of a completely expendable predecessor – even a much smaller one. You, of course, are unable to believe any of this as your lodestar anent what is possible in aerospace is the corpulent and increasingly senile Boeing organization. You are at least consistent in disbelieving SpaceX’s future economics anent Super Heavy and Starship – you don’t even believe the current economics of Falcons 9 and Heavy. You’ve been called, flyboy. Put your cards on the table or fold. I think most of them understate the problem and overstate the complicated issue between NASA and its service providers. Dont mistate me for a fan of NASA safety in general I have both op eds and professional work (whichcost me some in my career) being quite critical of the mockery which was shuttle safety office and MOD in general. BUT the legacy “line” of “well spaceX would do this right now except the bureacrates or the paper work or the insert any excuse here” is just the rant of people who have no clue what safety is and how it is achieved. and SpaceX knew what NASA wanted and needed and has according to several sources, ones I trust been careless in that..
aviation and other safety systems are far different than that…and SpaceX I think is having a hard time grasping that. put it another way. Lets say one of the two launches astronauts and something “stupid” happens and either the mission fails and or people die. OK where do you think the “sXXX storm” is going to happen? Dragon 1 failures are of record. Now I have them from a source at NASA safety and SpaceX wont release them…but they are quite real. they are consistent, in specs but nearly not so…and have trends which are disturbing. that explains it…Musk cannot even come up with a design for the second stage that last for more than a few months…and yiou dont see any issues. What is really funny in focusing on the parachutes is that unlike the Soyuz, Orion, or CST-100, the Dragon2 actually has a backup system if the chutes fail, the SuperDracos. Although SpaceX has given in to NASA and is doing an old Apollo style ocean landing, the SuperDracos are still are installed it since they are the Launch Abort System for it. And as Elon Musk stated last year, they still work. You tell them all Robert! Given the lack of tests I’ll bet the option is not even there for propulsive landing in the event of major chute malfunction. Unless it’s tested and drilled by the crew no manned flight program is going to have all that software standing out as an unknown untested variable. How on Earth can you say with a straight face that 4 parachutes are outside of SpaceX’s knowledge base? Well characterized industry knowledge – no? Maybe there are parachute issues (without a shred of evidence), but that doesn’t mean they don’t know what they’re doing. Your CLEAR bias that they are “essentially a software company” is ridiculous. Elon may be socially inept and persistently his own worst enemy, but SpaceX is a technologically advanced aerospace company. Period. It’s a shame you can’t help them with the certification process. You clearly understand everything about everything. Are you sure he is actually a pilot? Certain of the gaps in knowledge strike me as odd. Particularly the insistence that paperwork trumps all, which runs counter to the attitudes of the pilots I know personally. Most of them are unhappy with the near impossibility of getting modern gear certified in a timely and affordable manner. RGO seems unaware of this problem that kills GA pilots every year. Remember the failure of a D1 launch. EM stated that all they’d needed was a line of code and they would have saved the payload. Well I can’t see them not having the landing capability included as it is again, only software. The hardware, as stated already, is in place for launch abort and they’ve already proved out the hover and landing. I’d lay money it’s in place. Your reasoning holds pretty well so long as it’s only cargo on the line. I don’t think the HSF community will buy into the argument. They’ll see it as a untested unverified part of the system that may trigger at an unknown time for unknown reasons given the lack of tests and certification. I think they’d consider the risk of that happening to be greater than the risk of having the certified systems fail to the point of losing a crew in the last 25000 ft. If they thought the chances of the certified systems failing so badly that a shot in the dark “insurance policy” was an improvement on the system, I don’t think they’d rate the system ready for manned flight. That’s just silly. NSF is a fan site for space travel, period. If there are problems, I actually do have a very tough time believing they wouldn’t show up in L2 pretty early on. If your well-placed friends are making correct statements, they must be very high up indeed to know about something that isn’t making it into L2 discussions. Secondly, you also have a highly-distorted concept of how software engineering works. It ain’t what you think. Regarding your assessment of SpaceX as a software company, that’s ignorant hyperbole. SpaceX has demonstrated its hardware engineering prowess many times over, enough to earn the respect of anyone with the faintest knowledge about how difficult all of this is. Maybe it’s just been too long since you did any engineering. If you truly have so little respect for what SpaceX has accomplished, you’re very ignorant indeed. And if you’re just throwing rhetoric to assert your expertise, then you’re unscrupulous. Perhaps it’s time you reassessed yourself, not SpaceX. When ULA cracked 12 launches in a single year, I thought that was a major accomplishment. I still do. Tomorrow’s launch will be #20 for SpaceX for 2018, a good indication of their engineering skills. Regarding economics, if I were running SpaceX, I would keep my prices lower than the competition’s but high enough to fund development as fully as possible. That’s about where they are. They’ve obviously lowered launch costs – not one launch company in the world has lower prices – and they have a high-quality product. There’s a huge threat coming directly at SpaceX. Remember that SpaceX is already getting competition from Blue Origin, and Blue has much, much deeper pockets. If they don’t develop as quickly as possible right now, Blue will put them out of business in a few years in just the same manner that they are currently sinking their competitors. Going bigger is the only possible solution, and if SpaceX misses the mark with BFR they lose. While I find the changes every few months irritating and worrisome, I also acknowledge that they’re trying to develop an enormous rocket on a small budget against a very tight clock, AND I’m privy to decisions along the way that no other company would bother sharing. In summary, SpaceX is facing a huge threat. They have to be agile. Your assertions tell me that you have either not thought this through or you’ve never had a business of your own, or both. We’re now getting unofficial word of a 10 day delay to 17 Jan., 2019 — not due to any administrative safety concerns, but in order to push that launch past the CRS-16 return date. During yesterday’s pre-launch press conference, Hans Koenigsmann said while they could handle both capsules on station at once, they wanted to avoid having to do so with these flights. Given the nature of the DM-1 test flight, they wanted their teams to be able to concentrate all their attention on that without the distraction of the Dragon 1. This looks like the first realistic date I’ve seen … assuming SpaceX gets whatever waivers are required. However Administrator Bridenstine comments suggest that may not be the case. I doubt that SX will do that. That would likely cause issues with NASA and DoD. RGO is commercial pilot, though he does hate to say which airline, etc. I am guessing that he is flying small jets. if you are going to resort to name calling, why keep them so simple? U might just go ahead and go all the way for what you really want to say. Or you might just stick to the subject and quit dragging red herrings, resorting to ad hominems, and multiple other logic breaks. That must be why I hear the lyrics from “I’m so much cooler online” when I read some of his claims. SpaceX is a company that is still learning aerospace methods and safety standards and trying to shed its software company foundation. SpaceX is a software company in its foundation. Its not a bad thing and it has served them well so far in terms of their development…because their technical “tour de force” so far has been the recovery of their first stage …which was more than anything else a software problem…ie trying to stick the autoland with limited ability to change the basic aerodynamics. How they did that is an amazing story in itself in terms of both redoing the software (and the foundation of the software in particular) and developing the limited aerodynamic capabilities of the rocket. As for respect for what they have accomplished. I’ve never said or implied that. Musk and his crowd have a “habit” of talking up their accomplishments even when they fall short or where success isunclear. The economics of first stage recovery are seemingly helpful BUT not “game changing”…ie there is zero evidence that so far the cost numbers have come down for orbital access …which have changed the dynamics of human spaceflight.